Open Round of Counseling for the admission to BSc Nursing courses in All India Institute of Medical Sciences (AIIMS) tomorrow at the J.L. Auditorium, AIIMS, New Delhi. 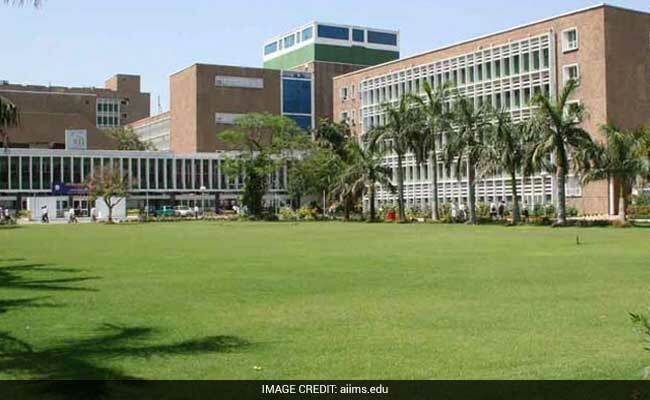 New Delhi: Open Round of Counseling for the admission to BSc Nursing courses in All India Institute of Medical Sciences (AIIMS) tomorrow at the J.L. Auditorium, AIIMS, New Delhi. AIIMS has released the list of the eligible candidates who may attend the open counselling for BSc Nursing courses. The category wise lists are available on the official website of AIIMS exams, aiimsexams.org. The open round counselling for all eligible candidates for UR, OBC & SC /ST will be held tomorrow. This round of counselling for BSc Nursing admission in AIIMS is being held for open selection for filling up the post of BSc (Hons) Nursing course which have fallen vacant after 2rd round of counseling, for which AIIMS had declared a total of 28 vacancies in all categories. Process of counseling will be exactly the same as done in 1st and 2nd round of counseling. On 26th September, 2017 during open of counseling for B.Sc. (Hons.) Nursing course for 7 AIIMS, first UR counseling will done and after UR counseling is over, OBC counseling will be done followed by SC/ST counseling. If any OBC seat remain vacant after counseling for OBC seat, all vacant seats will be transferred to UR category and will be offered to UR candidates on merit. In case of SC/ST counseling, if any SC seat(s) remain vacant, these will be transferred to ST seat and vise versa. All SC/ST seats which vacant after such transfers will also be transferred to UR category and will be offered to UR candidates strictly on merit. Thus, UR candidates will be called again in case any OBC, SC and ST seats remain vacant after counseling for these category is over in this round and all UR candidates should, therefore stay, back till it is announced that counseling is finally over.